The name of the swing says it all! The new You & Me Swing Seat is all about swinging fun between child and adult. Having eye contact and an adult care giver’s full attention make the child feel noticed and secure. 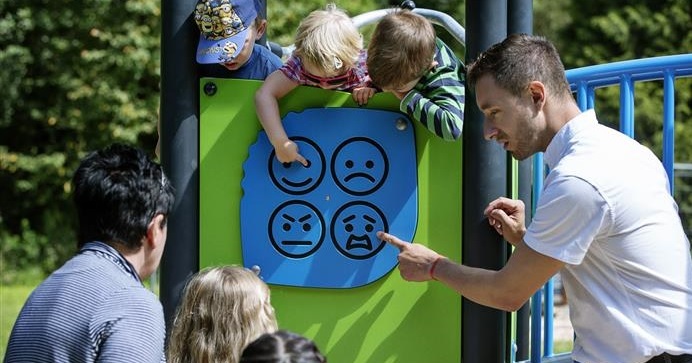 This unique experience where child and adult are completely absorbed in each other’s company is a strong facilitator of social emotional bonding between the two and emotional development in the child. 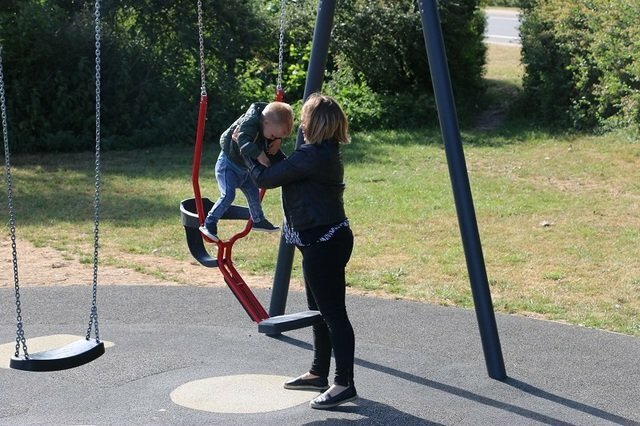 Swinging is one of children’s favorites and all children should be able to. 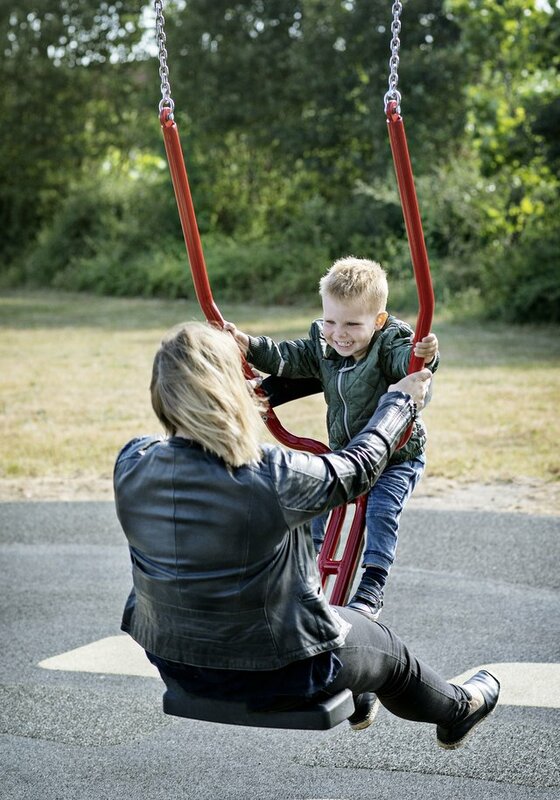 The You & Me Swing Seat is designed to make sure that even children who need extra physical support and emotional closeness can enjoy the fun-filled experience of swinging. The open steel frame makes it easy for an adult to place the child in the swing.The open seat frame is ergonomically correct and provides good support for children of all sizes between the ages of 1 and 4 years old. The low hanging parent seat evens out the size difference between child and adult and brings the adult down to the child’s level, ultimately enabling the ever so important eye contact. For very young or developmentally challenged children, swinging especially helps with sensory integration. Sensory integration incorporates spatial awareness and inner ear balance. Stimulating the senses through swinging gives the child’s brain practice at organizing and interpreting spatial information, providing a foundation for complex learning and behavior later. In fact, the rocking motion of swinging stimulates the part of the brain that helps you focus, the cerebral cortex. Research has shown that students are more focused and readier to learn after recess. And the twisting and untwisting of swings or spinning on tire swings stimulates additional areas of the brain that are important pathways for skills like spatial awareness, balance, muscle control and rhythm. The You & Me swing enhances any playground environment and works perfectly as part of a solution with traditional swings. The You & Me swing allows adults to be part of the play and be active with their children. Even older siblings can get the unique experience of swinging younger siblings. We wanted to create a swing with interaction between the child and adult while swinging. We designed the upper seat with more handles, so especially children with disabilities would have a good grip while sitting there.